Hi friends! Guess what? You get to hear from me (Robyn) three days in a row! Whit's wifi is out up in her northwesterly home so... here I am. One of the benefits of blogging as a team. Earlier this month I made it clear how I feel about Cat the Cat in this post. Well, let me tell you; I get a kick out of Cat the Cat- those books make me giggle. 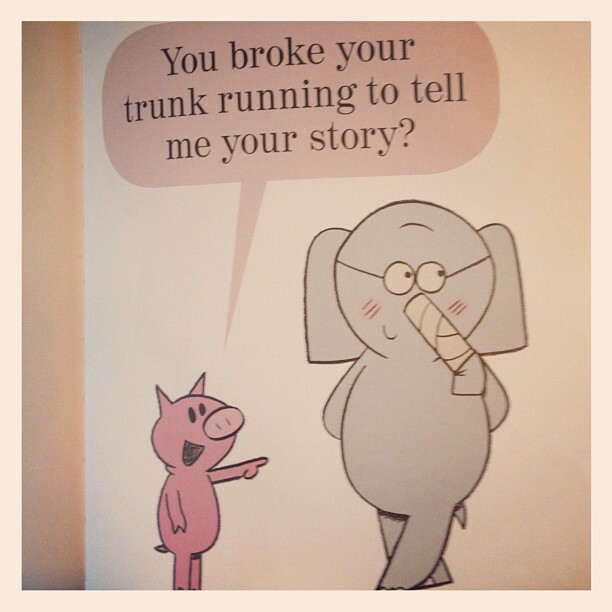 Just so you know, Elephant & Piggie books make me laugh out loud. 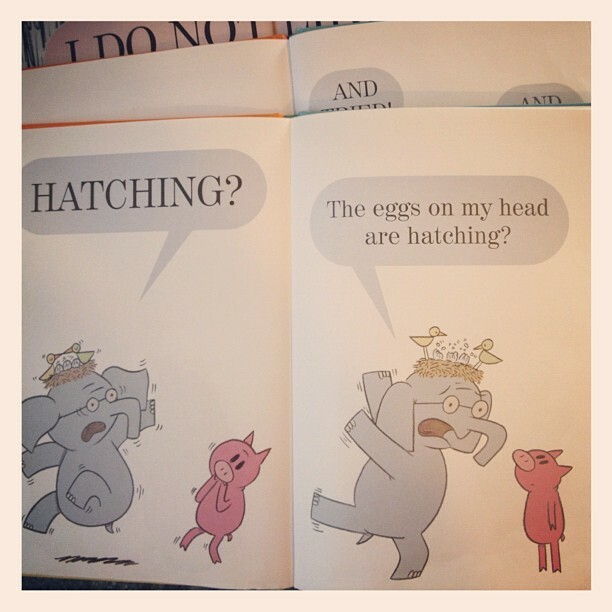 I can't express to Mo Willems enough HOW MUCH I APPRECIATE the fact that he created these books. GENIUS! Beginning readers that are actually FUN TO READ and FUNNY and I'm just soooooo thankful! 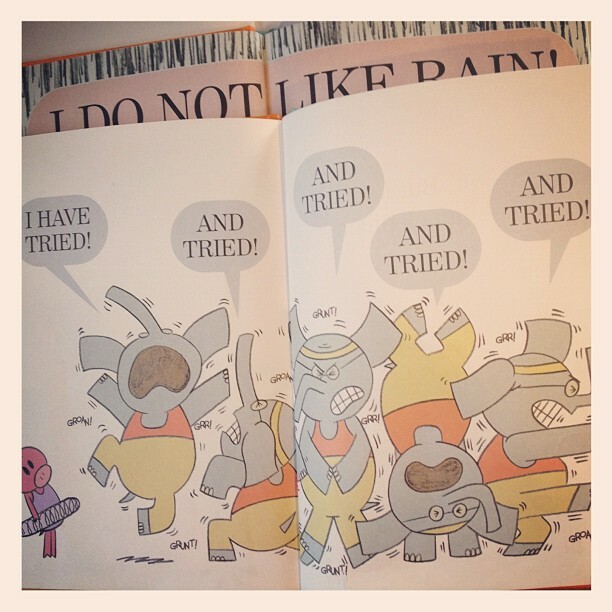 In all that rain Elephant isn't reacting to the down pour but to Piggie's tantrum... ha! I love it! Piggie has a larger than life personality. 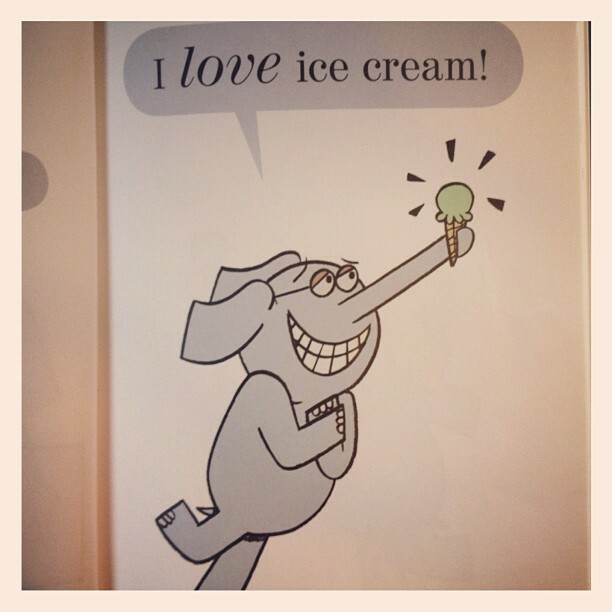 Did you know Elephants can't dance? But sweet Gerald sure did give it a try. 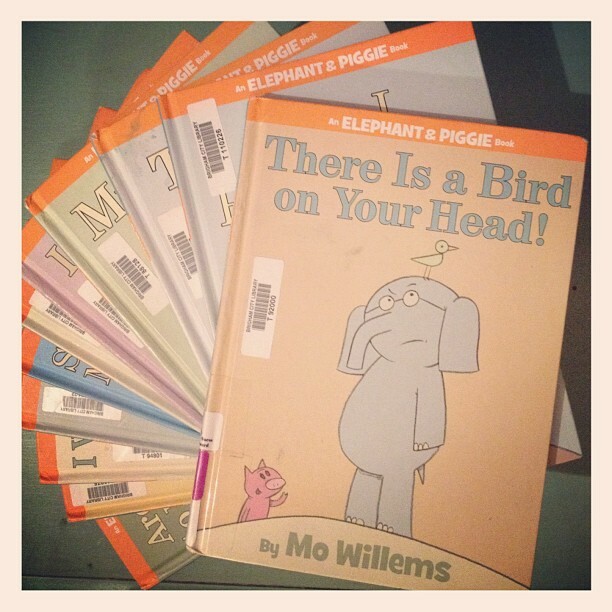 ...and if you haven't read one yet, start with There Is a Bird On Your Head! . 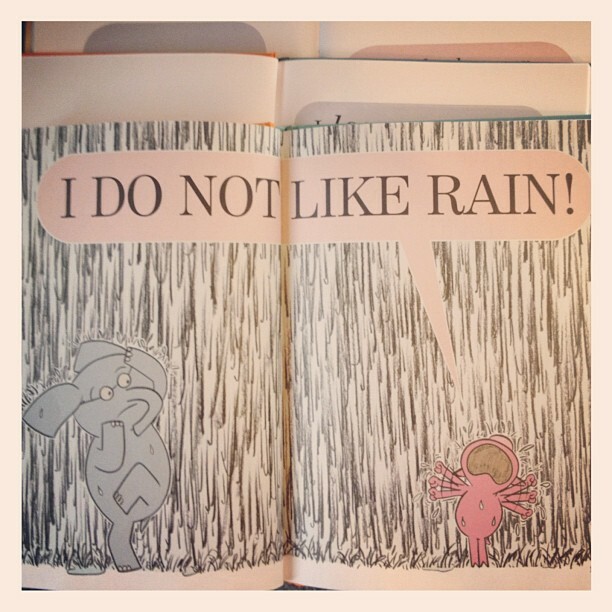 That book... oh that book.